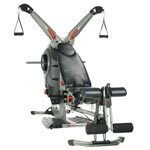 Bowflex Revolution XP is a "lite" version of the popular original version of Bowflex Revolution. Costing a little less, the XP version still provides the user with over 90 exercises. 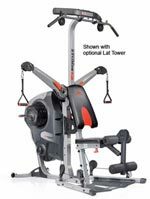 It comes with the leg extension attachment, squat harness, and an optional lat tower. 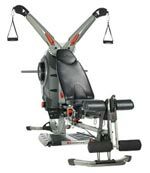 The Bowflex Ultimate home gym comes with 90 strength building exercises and a built in calorie-burning cardio rowing feature gives you a complete full body workout. 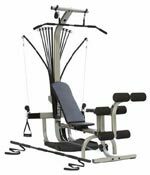 It comes standard with a lat tower, leg attachment, rowing station, and a squat station. 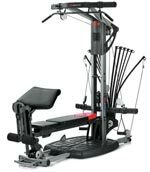 The Bowflex Extreme 2 is a popular home gym based on the rod resistance setup offering over 70 exercises to workout the entire body. It comes with the leg attachment, lat tower, squat station, and ab crunch accessory. 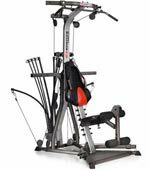 The Bowflex SE home gym is designed to allow users to perform a variety of exercises with up to 210lbs of rod resistance. 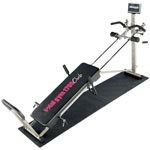 A compact exercise machine that offers over 65 exercises. 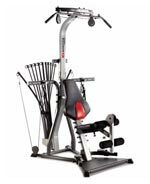 The Blaze is the base model of the Bowflex lineup of home gym products. 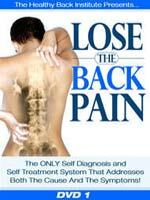 It is the most economical setup offering all the basics with over 60 exercises. 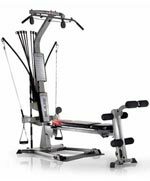 However, it does not come with many of the additional features compared to the other models.